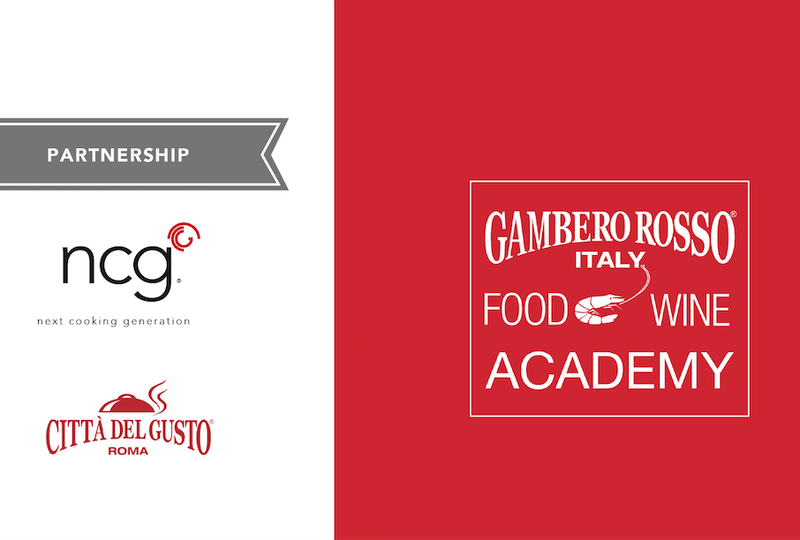 Waveco® and its innovative induced maturation© technique made its way to the classrooms and the kitchens of the Gambero Rosso Academy, in the prestigious location of the Città del Gusto in Rome. 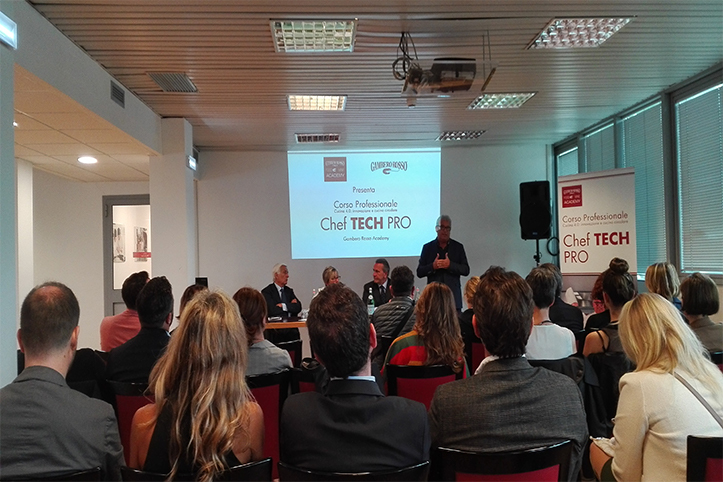 NCG, Next Cooking Generation, the Gourmet Service Group’s innovative start-up was chosen as the partner for the new course “Chef Tech Pro”, a vocational path for wannabe cooks who will discover new cooking technologies, under the supervision of Chef Igles Corelli. This is exactly why Gourmet Services and its innovative start-up NCG, were selected. The high level of research and development achieved in their Lab have enabled the manufacture of cutting-edge equipment which promise to transform the approach to professional cooking through technologies and techniques that were never before used in the industry. As Chef Igles Corelli claimed during the course presentation, “Nobody had ever thought of applying ultrasound technology to food”, while this is exactly what the Next Cooking Generation lab has been doing for the last 4 years with the support of and certification from the Faculty of Veterinary Medicine of the Università di Teramo; they did research to perfect the equipment that is on the market today which improves the quality of food, while preserving its organoleptic properties, removing the bacterial count for a longer shelf life and saving time and energy, so restaurant food cost is reduced. Eating food not cooked or raw, but rather matured. This is what the new equipment waveco® and its innovative induced maturation© allows you to do: a process which takes place at room temperature while fully preserving the food. The vibrations produced by a patented ultrasound system give a relaxing and beneficial massage to food fibres, causing all the negative features of hardness to go away and enhancing the organoleptic properties. Using waveco® means guaranteeing safe, genuine food. 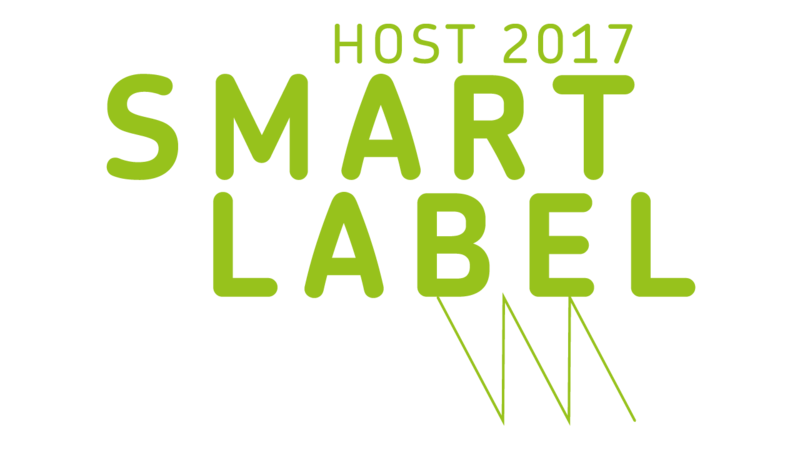 Its innovative induced maturation© process quickly reduces the bacterial count to provide longer shelf life. This technique uses no heat so, because food is not cooked, it preserves its nutritional properties while making food softer and developing a unique consistency. Choosing waveco® means investing in a highly-profitable solution for your business, designed to bring savings in terms of resources, working hours and energy costs. Induced maturation® allows you to prepare food quickly by optimising scheduling and increasing productivity, causing food costs to drop considerably. waveco®’s patented system is environmentally friendly and reduces waste because food is processed smartly. After induced maturation© food can be stored directly in the fridge for longer and you can use precise quantities based on your daily needs. 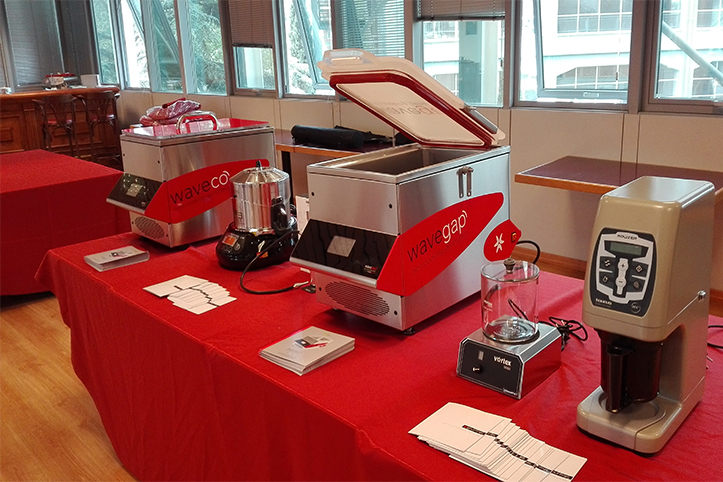 waveco® also functions as an advanced low temperature cooking machine. Its potential technology enables you to cook all kinds of food quickly and extremely accurately.